You may have heard these comments and others like it – or at least identified or felt the sentiment – the criticism that worship in song is about performance. Or perhaps just comments about worship in general. As one of the more visible aspects of our Sunday church gatherings it seems to cop a high degree of opinion and, ultimately, criticism. Song style, song choice, drums, volume, musicianship, lyrics …it all gets critiqued and reviewed. Here’s some of my least favourite comments. Of course we use skilled musicians and singers! We don’t let just anyone do maintenance on our building, lead in our kids ministry or cook for our gatherings – we get the ones who can do it to do it! Just because worship teams are up on stage doesn’t mean excellence equals showmanship. A worship team exists to lead us in worship, to carry our praises, to draw us to greater love and adoration of God – one of their main tasks is to not be a distraction. Musicians and singers can inadvertently draw our attention to themselves when there is a shortfall in their skill. How on earth can we judge that from our pew? What do we know of the state of the heart of a singer or musician that could lead us to make that assessment? Undoubtedly there are people who can become (or appear) overly concerned about how they look or act on stage – but I’m not sure we are ever in a position to know for sure that their love for God or heart for worship have been superseded by that. 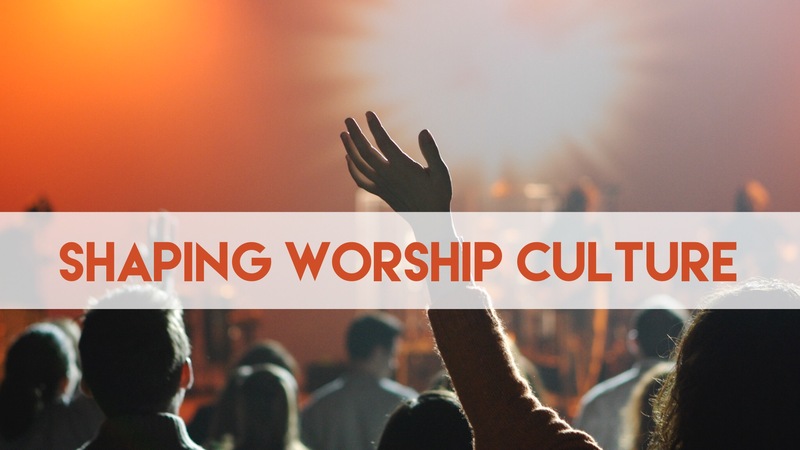 And as a part B to that – everyone in the church determines the worship culture of that church. Everyone. If you are a spectator, you’ll be feeding a ‘performance’ culture. If you are a true worshipper you can lead from the floor in a way that influences those on stage and around you. Your posture in worship as much as your comments to others afterwards shape the attitude and expectations of people around you. We need to all take responsibility for the worship environment of our churches. Those songs that we hold up as traditional were once deemed to be controversial because they were too enmeshed with culture. Much of what we now know as hymns (a word taken from scripture referring to music more generally that is now immortalised as a specific genre or style of music) were theology set to local folk tunes and melodies as a way to help illiterate people gain access to the gospel message. We are to be always singing a new song. A fresh response of praise and worship to God. It should be flavoured with the sound of a new generation, speaking the language of their hearts and encouraging them to learn their own way of worshipping God. Just as was afforded to us each in our generation. Let’s be honest. A 7:30am start on a Sunday morning for a non-paid playing spot in front of a couple of hundred people who are often vocal in their critical review is not where you’ll find musos looking for their big break. They are there because they love Jesus and they love you enough to serve with their best. Can we not be “those” people who complain and criticise? Can we be people who trust our church leadership to steward worship in context to God’s leading of us as a faith community? Can we be champions of those who faithfully serve our churches and also not be long-distant judges of the Church? Can we be active contributors to dynamic, authentic worshipful gatherings and be positive culture-shapers? Can we seek to understand and support one another in our pursuit of true worship and God encounters? < does what you DO define you? Ooh- this is a good one Kimberley! I particularly love the idea that those of us in the pews contribute to the worship culture through participation or spectating. I also loved your comments about singing a “new song”. Hi Kim. There are people who take part in the worship team, who are “professional musicians”, or are working in the music industry. They come to play in the worship band and it’s just another gig they do on a volunteer role. When it comes to the simplicity of music to perform. Of course we absolutely care about the presentation how we are going to play every worship song. This post you have put up that you don’t know what it is to be part of the music industry or infact how to perform as well as worship. Can you please do a blog about , what it is to lead a worship band. What is required to be a worship leader. Thanks very much. A person who is part of the music world and will keep on being a musician.